DC: Many of the Shunryu Suzuki lecture transcripts that we have now have Brian Fikes name on the bottom as having transcribed or made a minimum edit. These transcripts are especially important in the many cases where the audio is missing. I wrote Brian and ask him if he'd done all this work on his own time and asked if he'd write about his work with Suzuki lecture transcripts in general. Here is his answer. I did the work pretty much on my own, all in my free time. It was never part of my job or anything official. (I did bring up doing more as part of my job at one point, but whoever I talked to wasn't interested.) I came to Zen Center because of "Zen Mind Beginners Mind", and when I found out there were more lecture transcriptions, I started reading them. I wondered why there weren't more books of his lectures. I was reading the transcriptions during study time at Tassajara. I found an old IBM electric typewriter in the good will at the city center and took it back to Tassajara. A belt was broken, and I got a replacement from IBM and started typing. I wanted to make them a little easier to read, for myself and maybe others. I was worried about changing the meaning and tried to be conservative in my edits. Katherine Thanas and Mel Weitsman looked at a few of them and made suggestions, which I incorporated. I would have liked more of that to happen. It got tiring to retype entire lectures to incorporate feedback. I found a really primitive laptop computer that ran on 4 AA batteries (KC-85). It was being closed out for $150, so I bought one and started using that. Someone told me that tapes of some of the lectures still existed, and I was allowed to take copies of some tapes back to Tassajara for a while. That is when I was able to fill in some of the gaps and make some corrections to the transcriptions. I even transcribed 5 that hadn't been transcribed before, as far as I could tell. I wish I could have done more. A couple of years after I left Tassajara, I bought an IBM clone computer, and later I discovered how to transfer the files to it. I think that I put them into Word documents and sent those to you years ago. At some point, I lost those Word documents, I'm sure when one of my hard drives crashed. So I'm glad I sent them to you! 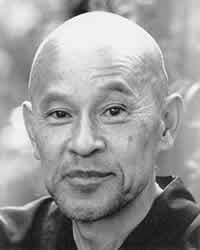 DC: Yes we have all those and they've been invaluable in making the Shunryu Suzuki lecture archive more complete.